Leveller width: 6, 7 and 8 ft.
- The FARMKING Heavy duty Land Leveller is a simple and rugged Implement which is directly fitted to the tractor. - More leveled and smooth soil surface obtained. - Hassle-free, reliable, effective & easy to operate power mast which saves both time & energy. 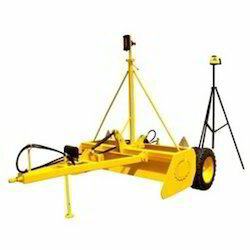 SOIL KING Leveller is farm equipment that is used for leveling the land. The field should be leveled for better yields and crops. It is ideal for leveling, filling, farmyard clearing etc. Soil retaining wings can be optionally fitted on both ends of the blade for carrying the soil without spillage. It is suitable for sticky soils as well. All new Jyot J850, a Powerful Laser Grading system for Agriculture Land Levelling is used widely in farms to increase productivity. It is simple to use and set-up and can be used by untutored/ illiterate farmers. Its user-friendly functions suits according to your needs! cropking medium and heavy duty land levelers are ideal for leveling; filling, farm yard clearing etc. Soil retaining wings can be optionally fitted on both ends of the blade for carrying the soil without spillage. These are suitable for sticky soils as well. 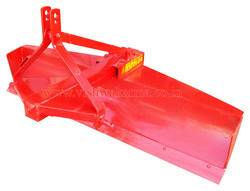 Karanpuri "Land Leveller" Heavy Duty is ideal for levelling, filling, farm yard clearing etc. Soil retaining wings can be optionally fitted on both ends of the blade for carrying the soil without spillage. It is suitable for sticky soils as well. We are well-known as a Land Leveller Manufacturer and Supplier from India, providing the best quality Agricultural Equipment under one roof. We offer Land Leveller, which is essentially used in proper leveling of the soil to make it ready for the purpose of cultivation. Our Land Levellers are highly demanded as they are able to level any type of soil, no matter what shape or hardness. This Heavy Duty Land Levelers (Suhaga) is mainly used for leveling the land and helps in improving the irrigation efficiency.